There are delays on the roads and rails in Sussex this morning (Saturday, October 10). Train passengers travelling between Haywards Heath and Three Bridges are told to expect delays of up to 45 minutes due to a faulty track. The delays are expected to continue until at least 11.45am. 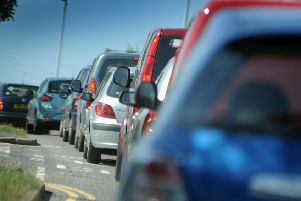 Motorists travelling through Bognor Regis may also experience delays this morning due to a road closure. The B2132 Middleton Road is currently closed between the Tudor Close junction and the Merry End junction, due to emergency repairs. While there are no spots of traffic elsewhere in Sussex, those travelling north are being warned of a serious incident on the M25. Two lanes are currently closed clockwise between J6 A22 (Godstone) and J7 M23 due to a crash involving a lorry and a van. Traffic is very slow moving and drivers are being told to expect delays of at least 20 minutes.